Shawnee Community College will host 9 summer camps for children starting on June 11, 2018. The college will have a variety of camps, which include: FUN-DA-MENTAL Basketball, Drama, Minecraft, ELITE Camp, Soap & Bath Bomb Making, Art Camp, Government Camp and LEGO Mindstorm Robotics. For 6-9 grade students. Cost is $35. This four-day camp will have you involved in a mock trial. Learn what helps make the United States justice system work. You be the judge. For students ages 8-17 years. Fee is $40. For information, contact Tim Frizell at timf@shawneecc.edu or 618-634-3230. For students ages 9-13 years. Fee is $50. This is a fun hands-on physical labs with structured digital activities inside the game to encourage kids to make connections between Minecraft and real-world concepts in science and the humanities, while also providing plenty of chances for creative, collaborative, unstructured play. For students ages 9-13 years. Fee is $50. This is a fun hands-on physical labs with structured digital activities inside the game to encourage kids to make connections between Minecraft and real-world concepts in science and the humanities, while also providing plenty of chances for creative, collaborative, unstructured play. There could be overlap between the 1st session and the 2nd session of the Minecraft camps. For students in 3-8 grades. Pre-registration fee is $50, day of registration fee is $55. For information, contact John Sparks at 618-634-3230 or johns@shawneecc.edu. For students ages 8-14. Fee is $40. Enjoy two color splashed days learning various art techniques. For students ages 13-17. Fee is $40. Enjoy two days learning the technique of oil painting. exploring the world of entrepreneurship. For students ages 9-14. Fee is $30. For students ages 9-13 years. Fee is $75. Kids will enjoy a fun filled week of building and programming robots. The flyer can be found on the SCC website. 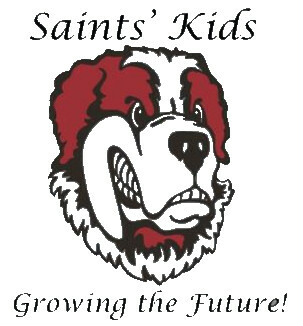 For registration information for the Saints’ Kids 2018 Summer Camps and Activities, please contact Stacy Simpson at 618-634-3266 or stacys@shawneecc.edu. Registration and fees are due at least one week before camp start date. This entry was posted in All the Buzz - Bee Informed, Education Buzz and tagged Camp, Kids, Shawnee Community College on May 29, 2018 by massacbeeswax.